Life is demanding whether you are a wildly successful author, an aspiring writer, or just so meone with a dream. We live in a society that asks us to produce like robots and run in the hamster wheel of productivity. Most of us have more than one job. Most of us have loved ones that require love and attention. It becomes very easy to let your dreams and passions slip down your priority list. You can’t write today because that double shift you just pulled was exhausting. You can’t edit that chapter because you have to feed your family dinner. You don’t have the time. You don’t have the energy. It’s not providing you with financial stability now, so it has to wait. Dreams only become reality if you allow them and that is the truth. Writing a novel can take years and it has provided me the time to practice and create a few habits, thoughts, and processes to help keep my dream life within reach. With Monday approaching, I thought it might be the perfect time to share! No one else is going to understand your desires, weaknesses, fears, and glories better than you. Be honest with yourself. Work with what you have. Understand that this is a process of evolution and creation, not instant gratification. It is so easy in this digital age to forget that hard work pays off and a click of a button isn’t going to send you a dream life with free two-day shipping. You cannot possibly come to appreciate what matters to you if you don’t spend enough time with it. You need to bleed and cry and demolish and rebuild with it. Life is an experience, a journey. Take the time to be clear about your dream, tell yourself what exactly it is that you want. Then every day set small goals that are realistic. Make check-ins for longer term goals. And most importantly reward yourself when you’ve met your deadlines; daily, weekly, monthly, yearly, all of it. Make this an adventure of celebration for following your heart, not a slave driving dictatorship of success. Only you can make time for the manifesting of your dreams, so be relentless about allowing yourself the opportunity to do so. It will be difficult because most people may not understand. They do not have the vision that you have. They cannot know what you know in the deepest part of your soul. And that’s okay. But don’t let their opinions or point of views alter the focus of your experiences. They are yours and yours alone. Remember who your real friends are. They will be around when you disappear in the cave of your journey and they will be around when you come back to light. Build a positive support system with people who genuinely love you. I have been blessed with a warm and encouraging network who both inspire and push me to reach for all the I believe I can attain. I also remain mindful that they too are livin g their own experiences and try not to bog them down with all of my crazy thoughts. I know how hyperactive my mind is and I know how overwhelming I can be when I’m utterly inspired. This may sound weird, but I know who I can go to for what. If I’m downtrodden and questioning my entire life, I know I can go to my best friend. I know when I want to talk about alternate universes and the possibility of time travel that I can go to someone else. When I don’t want to talk about anything to do with my writing, the first person I find is my fiancé. Sometimes stepping away from a passionate obsession is good. You’ll allow yourself to expand your vision by trying things that you normally wouldn’t. Try learning about something that has nothing to do with the topics of your dreams. I think you’ll be surprised how you will naturally find something new and amazing to bring back to your plate. The universe has a funny way of giving you all that you need in the places you’d never think to look. This includes making time to stay healthy and exercise. Endorphin release and an efficiently running digestive system is going to work the best for you. I have made a habit to exercise religiously for almost two years and I will tell you, on my two days off a week I have to battle the lethargy and depression that comes without my usual endorphin release. Thankfully, I am aware of this and make adjustments to my schedule. I eat the best I can these days and take extra rest. Food is brain power. Know your body and which foods make you feel good. Because I never stop most of the time, I have to be sure to digest extra carbohydrates to provide my body with energy (such as whole wheats). I would also suggest that you look into “eating the chakras.” We have different energy sources in our body that we pull from based on the task we are doing. For example, writing a novel asks a lot of my imagination which is centered in purple/indigo. So I make sure I always have blueberries to munch on while I work. I can’t prove that it works, but it works for me. And above all else be a passionate person! 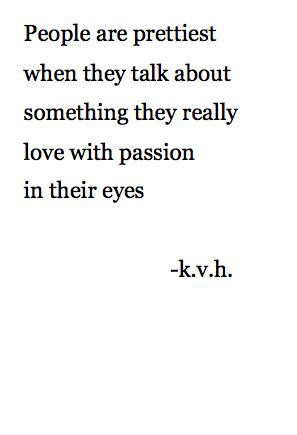 Talk passionately about what you love most. Let the light it gives you shine in your eyes. Let your words sing the love you have in your heart. Love conquers all. Love your life. Love your world. Love the creation. Love the journey. Let others love it through you. Be enigmatic and inspiring and lead by example! Create passion around you and watch how your world will shift to support it. Watch the progression of your efforts unfurl like a flower in the morning light. Beautiful occurrences will manifest before your eyes. I know because I have seen it myself. I experience it everytime I allow it into my heart. Be gentle to yourself, be loving to yourself. Step towards the life you want and it will rise to meet you. Be a magician. Create your reality. 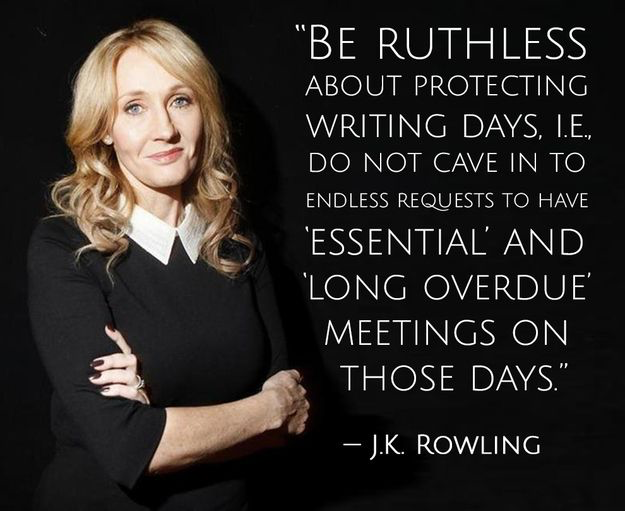 Be relentless. Be a believer. Do not go gentle into that good night. Rage, rage against the dying light.